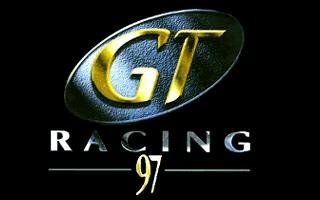 GT Racing 97 is a game whose visual style will remind you of the old Test Drive games or the original Need for Speed. 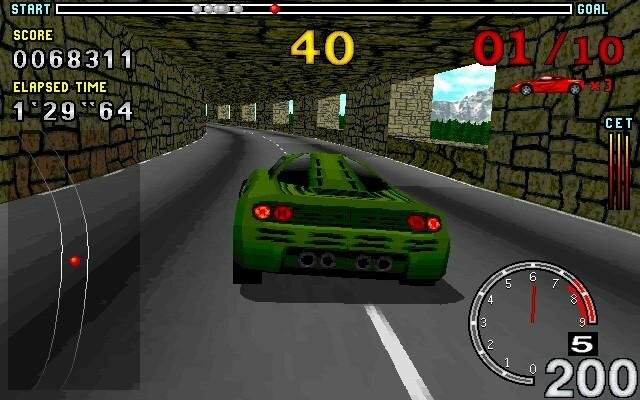 Running under DOS, the arcade racer includes fictional cars with the expected trade-offs between speed, acceleration and handling. When starting the game for the first time you can take part in a training or start in a championship. 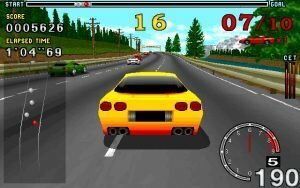 The practice will be done on one of the two initially available tracks, with new tracks eventually getting unlocked as you progress. Championships consists of a number of races in different countries with various themes (forest, winter, dry land, etc.). 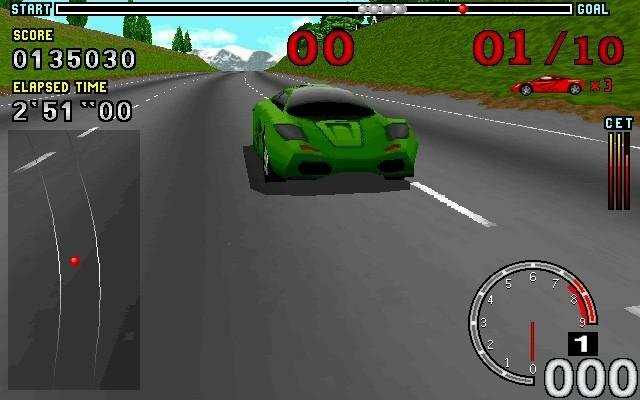 The action is typical of a budget racer, with little customization options and simplified AI behavior. 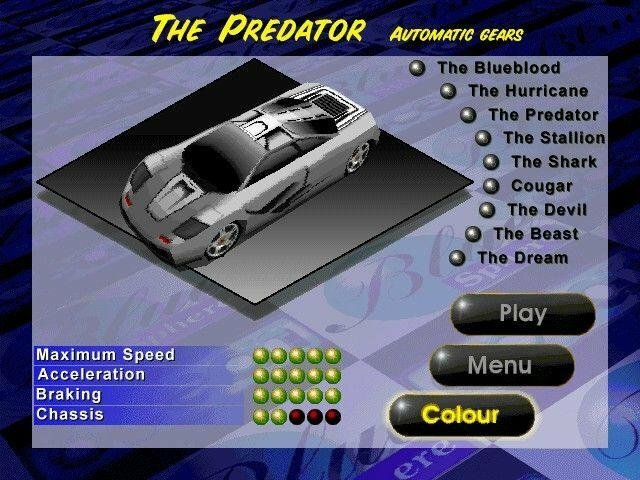 And don’t expect any trademarked cars or courses, since all of the cars include fake brands like “Hurricane” or “Predator”. 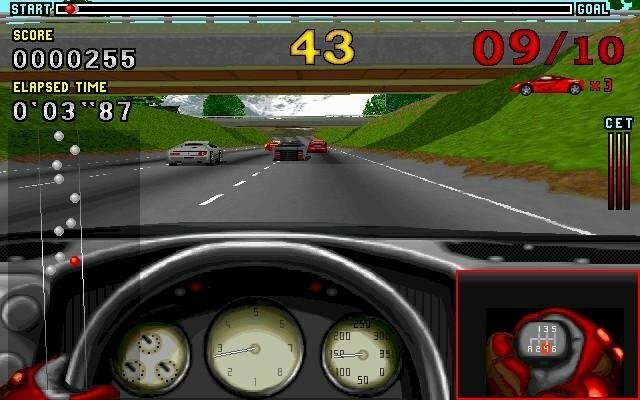 I had this game when I was a kid and remember being quite pro in it! 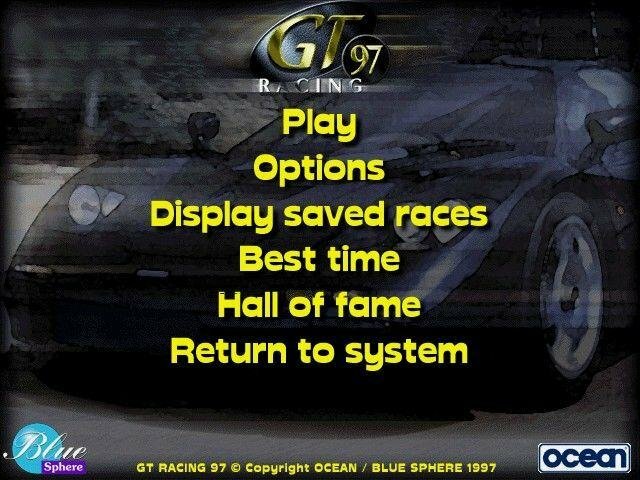 I think it was given to me by someone who didn’t use it, but it went on my 200Mhz pentium I machine flawlessly and it didn’t need GPU acceleration – something which cheap people like us could not afford at the time, but games are used more and more. I think it was not that bad for a cheap release. Having cars that are just roaming there without being in the race was quite novel for the time being actually! 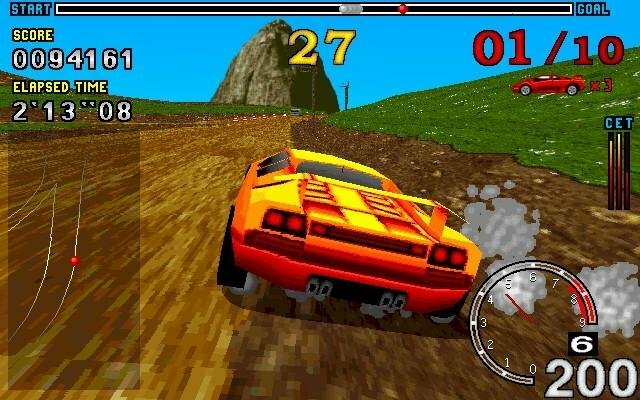 Also I liked that your car, tires and engine can get destroyed even in this overly simplified model. Of course maybe I am talking like this for this budget release because it was one another game that provided me 3D fun without needing 3D accelerators. 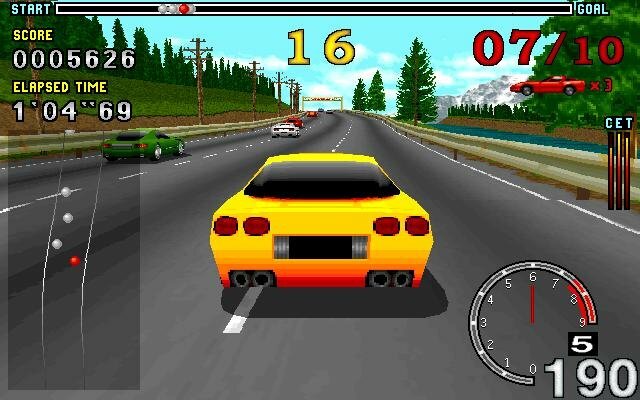 Not as great graphics like “Thunder Brigade” (which was top non-accelerated graphics to me), but it did its job. Also it was not so easy to make it work under linux and (G)CDEMU because it complained for not having the disk in the drive in any ways I tried to mount it through dosbox. This is because part of the CD security checks are using the audio track sizes and stuff which I could not mount properly through cdemu+dosbox+linux (might be a problem for others too). Should work on all cases and there is sound – but of course no CD music if you do it my way. To make this game playable please read on and download my custom patch! 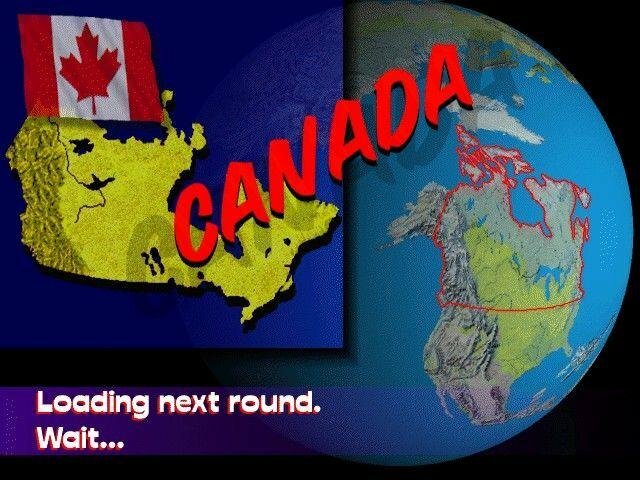 I do not know if you could beat the first map at all on any difficulty levels but it seems the version posted here is having bad checkpoint timings many complain for (from other sources too). I went on an created hacked binaries that fix the checkpoint timings using a guy who play the uncorrupted version on youtube. The binaries also contain the NO-CD fixes and no image mounting is necessary after install anymore. 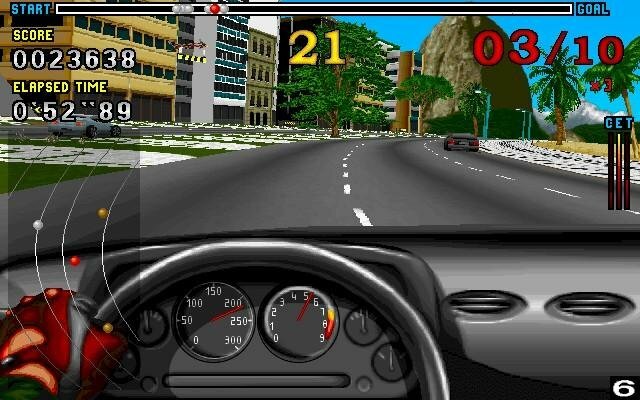 I also made versions where the timer never goes down so you only race against the AI cars and a fullhackz version where you go through the cars instead of colliding with them. Without these patches the game is already physically unbeatable on ‘Amateur’ difficulty level! Please use these if you are using the version from the oldpcgaming *.nrg iso installation!! !